VintageView wine racks are sleek & stylish metal wine racks that allow easy viewing of wine in your collection with labels facing out. 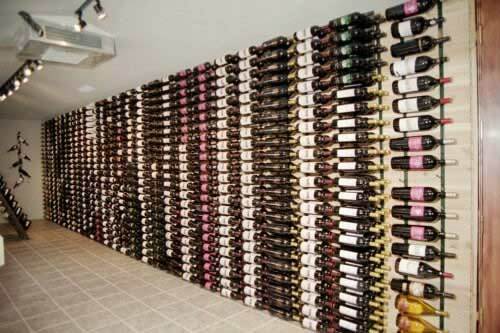 A very contemporary and practical way to store your wine. 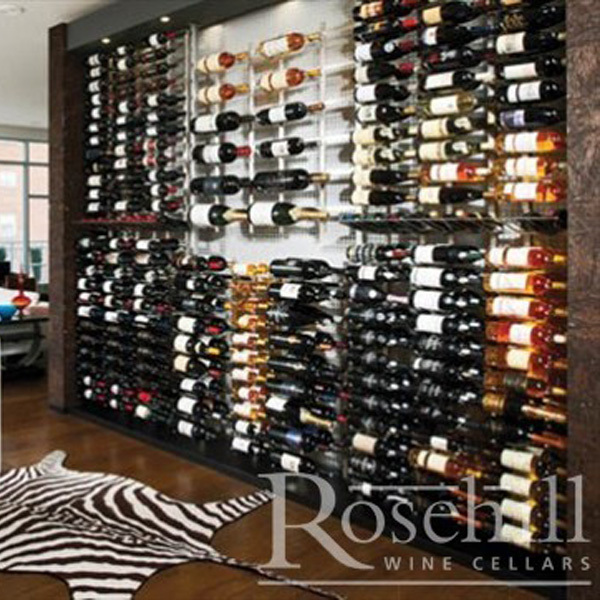 A wall wine rack also works well where space is limited such as behind the door or narrow hallways. All metal wine racks are available in Black Satin or Platinum (Brushed Nickel) Finish for immediate delivery. Chrome and Black Chrome may have slightly longer lead times. Please also see the retail display island and the POP rack. No walls to attach racks? Want to have glass front with racks seemingly attached to it - Look at the floor/ceiling mount. 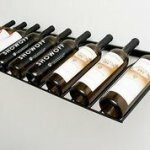 Wine bottle cradle rods protrude from wall 5-1/2"
Wine bottle cradle rods protrude from wall 12"
Can be installed on it's own or in coordination with VintageView racking. 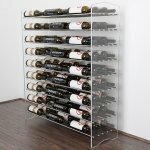 Big bottle wall wine rack fits large format bottles up to 6L. 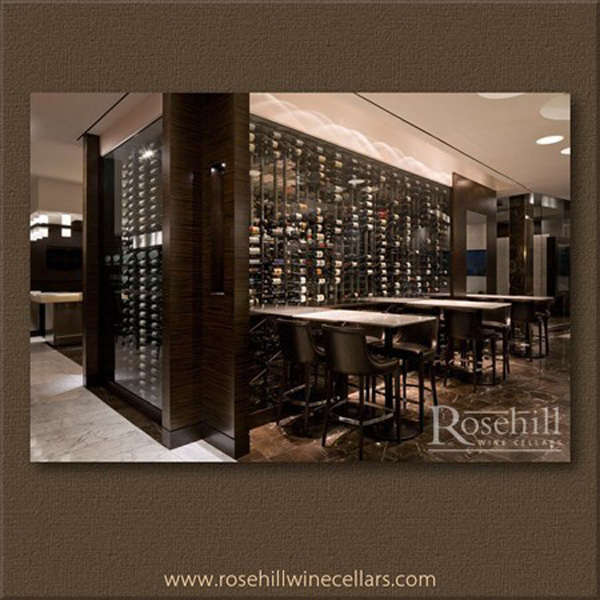 Great for retail applications or modern cellars where free standing racking is needed. Position wine racks adjacent to glass with the FCF frames. Ideal for restaurants & corporate environments. 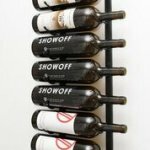 VintageView metal wine rack accessories including retail display tags, Mounting Screws for Drywall or Masonry and Bottle Retention Straps. Click here to see a selection of VintageView's IDR Accessories. Evolution – free standing, label forward Wine Racks. Steel Rods with Acrylic Support Panels. One bottle wine Perch holds bottle in upright position securely. Bottle is held securely at both base and neck to display bottle label. 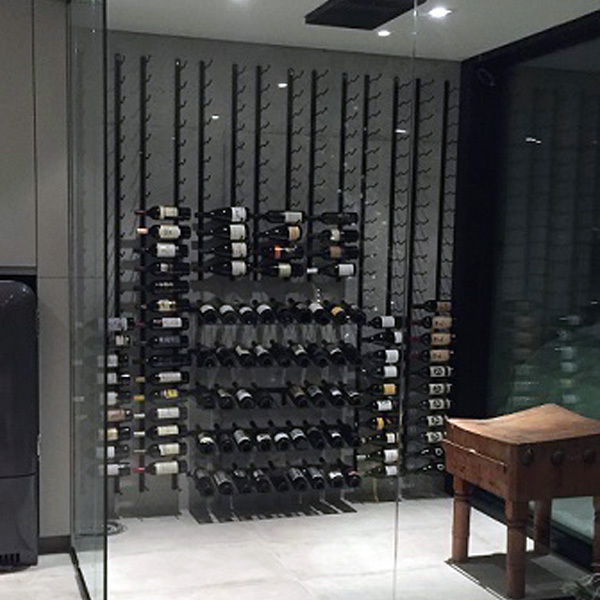 The VintageView WS Series are metal wine racks that are a great solution for wine storage in narrow spaces such as hallways, under staircases, on kitchen walls and behind sinks. 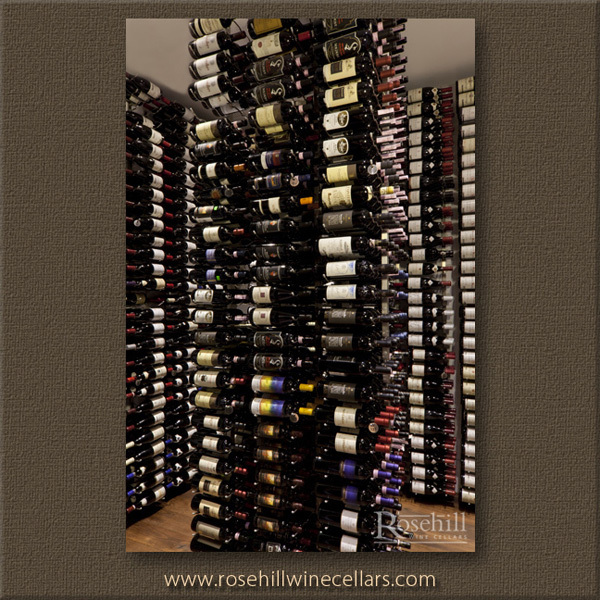 The collection of wall wine racks come standard in either 36" or 48" heights. 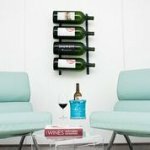 At an additional cost, these wine racks can be cut in height to suit your space. Available in single, double, and triple bottle deep configurations, as well as 36" and 48" tall lengths. 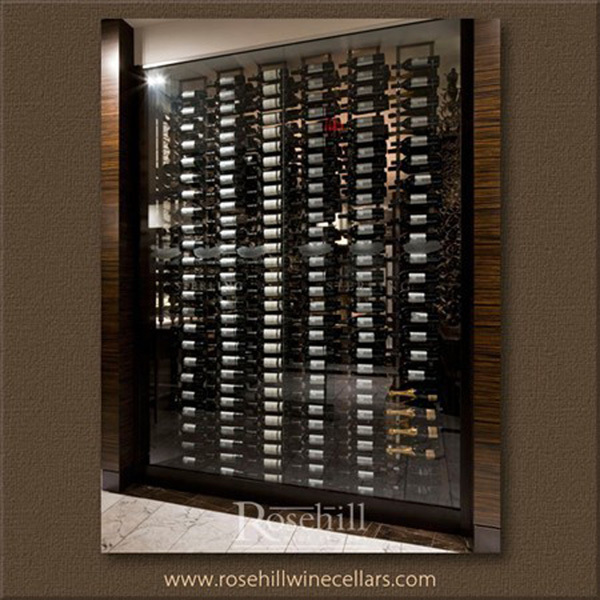 The VintageView metal wine rack is ideal to store as little as 9 bottles or as many as ten's of thousands. This is because it is possible to grow your VintageView collection along with your wine collection. Black and Platinum are available for immediate delivery, the Black Pearl and Chrome may take a bit longer for delivery. Platinum (Brushed Nickel) : brushed nickel finish of the Platinum racks provide a modern and contemporary look. Black Satin: is a flat black. Please Note: Custom colors are available, please inquire upon placing your order. Please Click Here to view more images of our VintageView Metal racking systems and Floor Ceiling Mount racking. Protective caps are provided to cover attachment holes and rubber tips are installed on the ends of the rods. All VintageView metal wine racks are made by professional welders using steel rods and rectangular steel structural brackets. These unique metal wine racks will give you a different look in your cellar and can be incorporated with your wood wine racking. Wine bottles look like they are floating in mid-air. Identify your collection at a glance with labels facing towards you. Racks can be stacked for limitless height and easily cut. 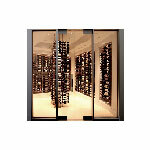 No need to make custom displays, these metal wine racks can be cut to fit your specialty niche. Can fit in narrow spaces. If you would like a cooling unit as well, we will be happy to customize a design and obtain a shipping quote for your entire order. Click Here to go to Cooling Unit Pages. All of our Metal VintageView Wine Racks are a stock item and are readily available for shipment within the USA and Canada. Please Click Hereto view more images of our VintageView Metal racking systems and Floor Ceiling Mount racking. VintageView can be installed on any wall surface; we suggest the following for installation. * toggle bolt or Molly at the top mounting hole position and spiral inserts on the bottom two are often choice of install for drywall applications. The required mounting kits can be purchased at local hardware supply store. We can supply the required mounting hardware for drywall or masonry applications if required. Please specify at time of ordering about $2.50 per set. VV-MISC-F-DW - Drywall Fastener Kit - 4 spiral inserts, 2 hollow wall anchors.